Family Vacation Camps Will Add Extra Fun to Summer with Your Kids. No two family camp locations are the same but all guarantee family fun so expect plenty of outdoor shared activities during the daytime, with sing-a-longs and campfires at night. Family summer camp – fun for all! The best family vacation camps, sometimes dubbed “multigenerational camps”, offer simple lodgings with meals included and dozens of terrific activities meant to be shared with other families at camp. 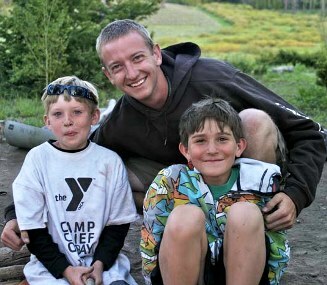 In fact in many cases traditional kids’ summer camp locations designate “family camp” weeks. Family camp locations vary including lodges, hotel rooms, cottages, cabins, and sometimes tent cabins with no electricity. Some provide private baths while others offer shared bathhouses. Just as varied as the sleeping spots the activities define the experience. From banana boat rides and sailing classes to performing arts and studio families can easily have fun together. Family camp experiences make it easy to achieve a sense of community sharing family fun with multiple generations. Just like the kids version, family vacation camps provide ways to socialize with other families and share unique bonding experiences with new friends. For many it is an economical way to getaway, have fun together, and mom does not have to cook or clean up. Kingsley Pines Family Vacation Camp in Maine – Hiking, canoeing, and banana boats. Camp Lake Hubert’s Family Camp in Minnesota – Bingo, campfires, and skit night. Ace Adventure Camp in West Virginia – Whitewater, rock climbing, and lake activities. US Space & Rocket Center Family Vacation Space Camp in Alabama. Real science, an anti-gravity experience, and Family Aviation Challenge®. Latgawa Shakespeare Camp for Families in Oregon – Plays, Ashland Shakespeare Festival, and a Rogue River trip.